This post is somewhat late (sorry!) 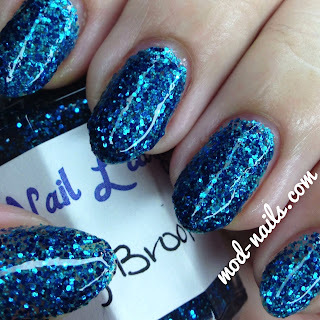 but here is a few swatches of Imperial Nail Lacquer's Indie polishes. They're all so gorgeous. This is "Vintage Love." I used Orly's "Beach Cruiser" and "Glowstick" as the base colors and it turned out perfect together. Click here to go to her Etsy profile and purchase it! This is "Caribbean Stars." I topped it over China Glaze's "Def Defiant." This reminds me of Nick's green goo and I love it. It's such a fun look and the blue/teal glitter hex pieces are so pretty. It reminded me of the ninja polish but without the texture which I love because I wasn't fond of ninja polish's texture. Click here to go to her Etsy link to purchase this. Okay this I LOVVVVE. It reminds me of mermaids and magical things. This is "Sparkling Brooks" and it's the perfect glitter. This is three coats on its own. AMAZING. Click here to visit her etsy and buy it NOW. You need it in your life. This is another favorite of mine. It looks like a barbie disco party. This is "Disco Wonder." I topped it over OPI's "Alpine Snow." 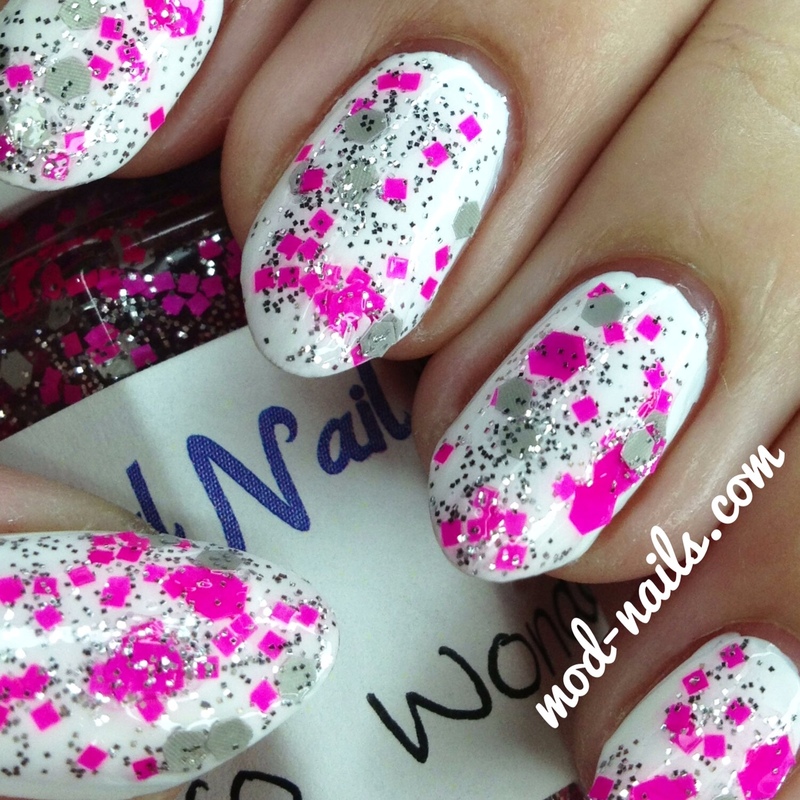 It's so pretty and I love the big pink hex glitters. It kind of looks like the splatter technique. I couldn't choose a favorite, I loved them all. What I love about these is that they are SO easy to apply. 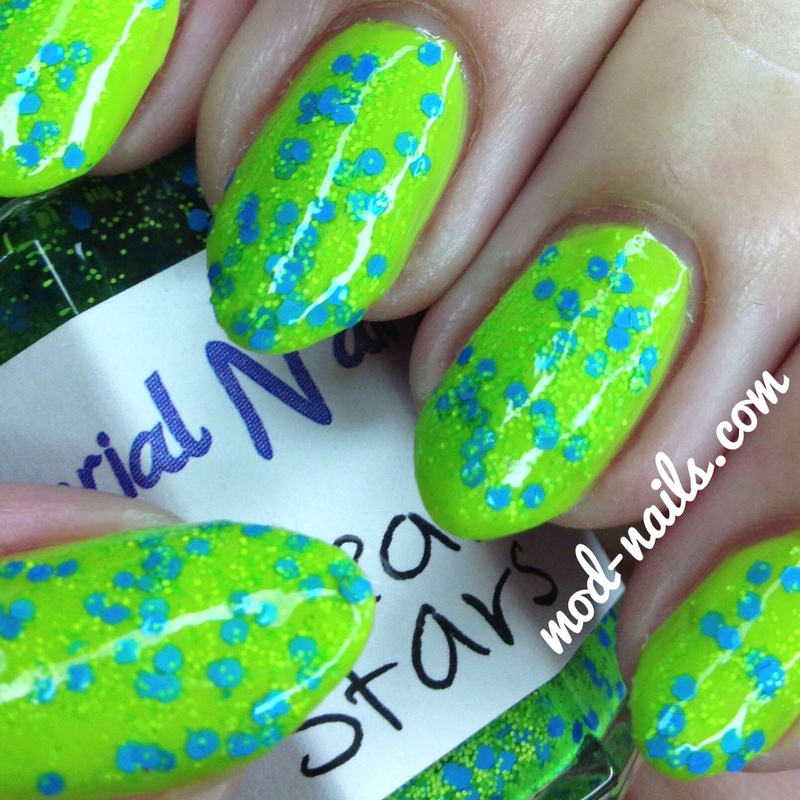 The glitter comes out perfectly and evenly and you don't have to go fishing for it or use a toothpick you just apply it with a brush add a top coat and it turns out perfect. Let me know if you have any questions in the comments down below! The "Barbie Disco Party" is gorgeous! I really want it and I hope they ship to Australia. Great swatches by the way especially the first one.